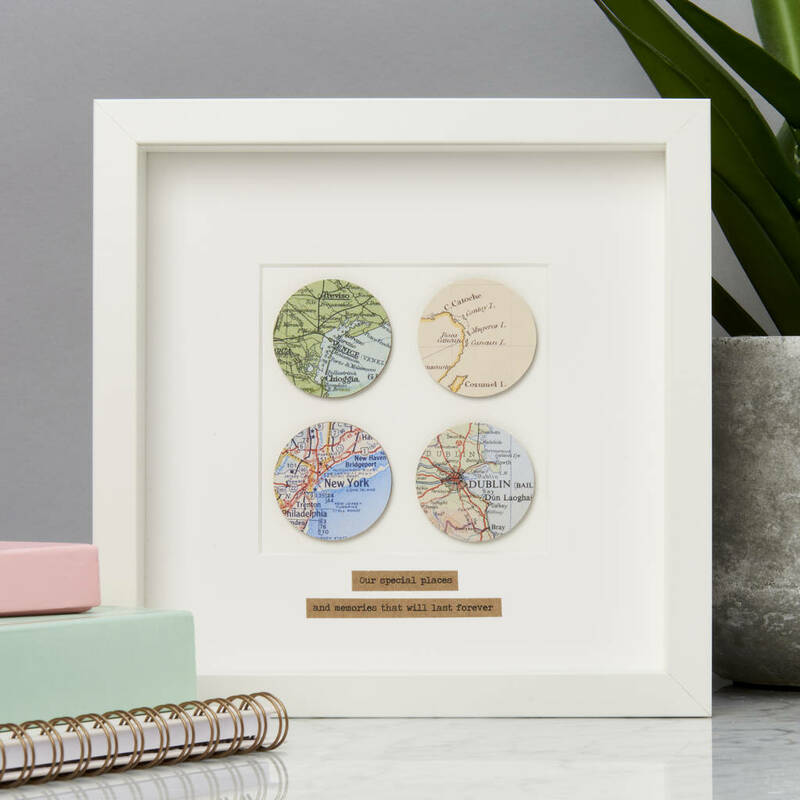 A beautiful Personalised Four Circles Map Picture, made with your chosen locations and an optional message beneath. Designed and handmade in our Brighton studio, these unique pictures are made using a stunning collection of authentic vintage maps (please see notes below) to show your four chosen locations. 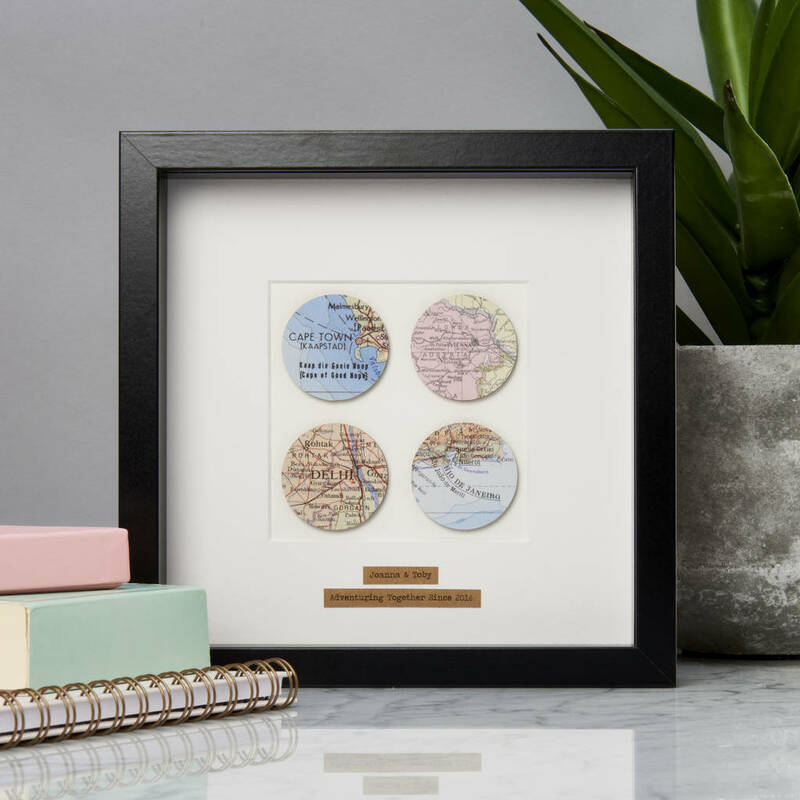 The map picture has four raised small wooden circles giving you the chance to select your favourite locations that are special to you. 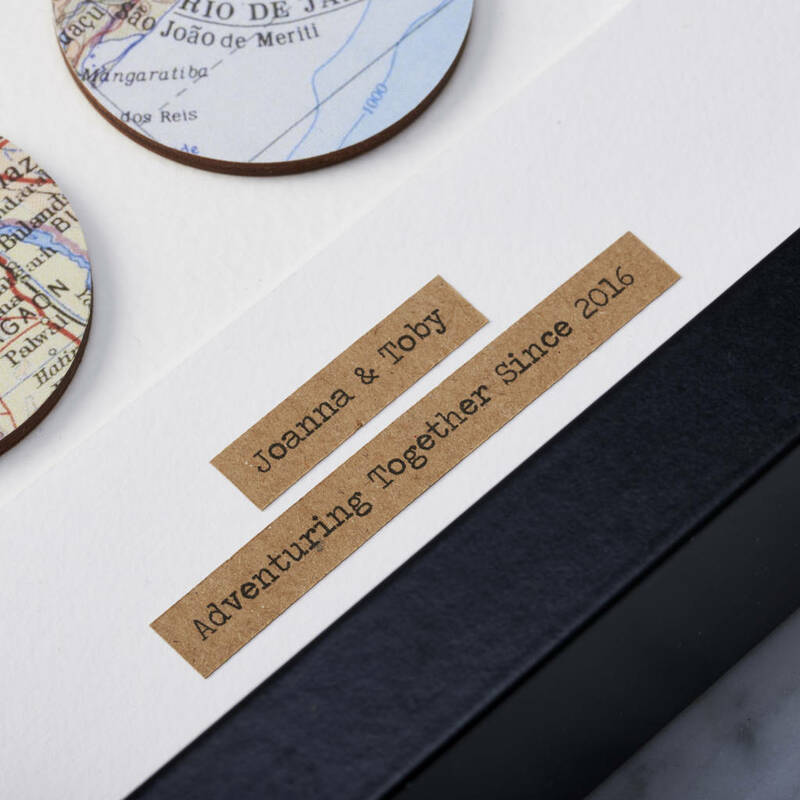 Choose between framed and unframed and an optional message beneath the picture. 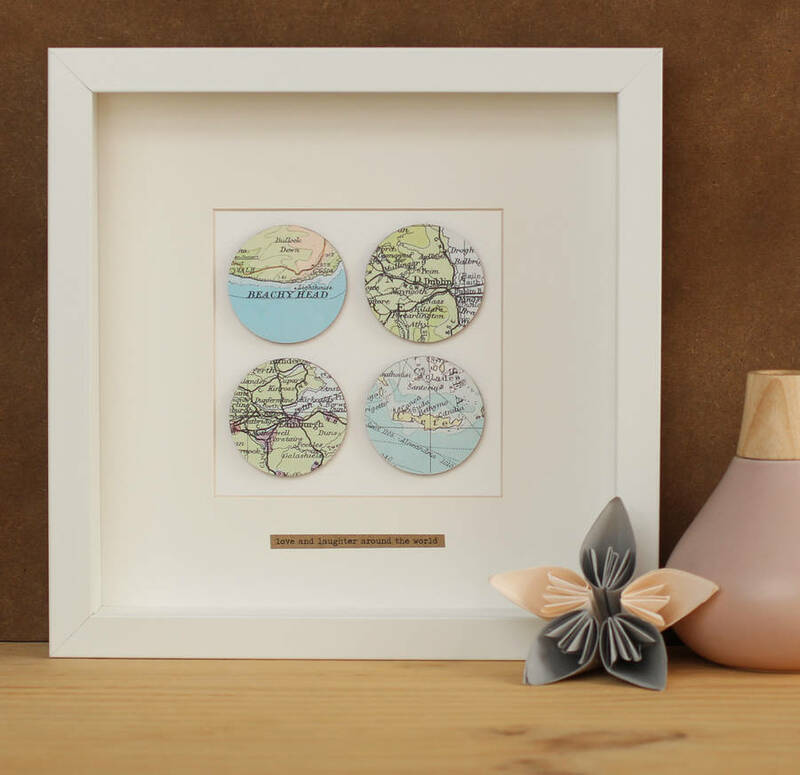 Unframed, the mount measures 23cm x 23cm and the inside picture measures 12cm x 12cm.